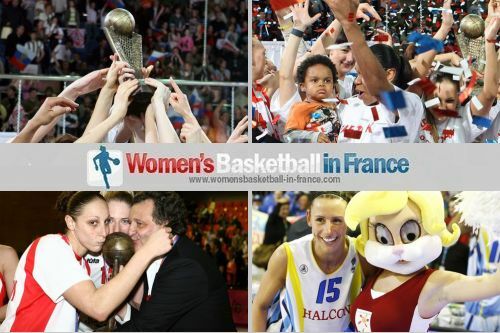 FIBA Europe decided to make major changes to the EuroLeague Women (ELW) competition for the 2011-2012 season. This new format is the first big change to the EuroLeague since 2007-2008 when the number of clubs participating was fixed at 24. 3. and two wild cards. The only restriction in terms of participation is one national federation may not enter more than three clubs. However if a club from a national federation forfeits its place then FIBA Europe shall decide on the allocation. The 24 clubs are drawn into 3 groups (A, B and C) of 8 clubs each. Each team plays the other teams in the same group twice (home and away) that is a total of 14 games for each team. If the host finishes among the top 5 in their group then all fifth placed teams qualify for the second round. However if the host is not in the top 5, then the top 4 for each group and the two best fifth placed teams qualify for the second round. The 14 teams qualified for the second round playing in the best of three play-off series are paired according to their final rankings. The 7 winners from the play-off series join the host for the Final Eight. The clubs are split into two groups of 4 based on the ranking from the first round of games. Each club plays the other clubs in their group (round robin format). The final placing is determined by the finishing order in the Final Eight group games, with 4th placed teams playing for 7th place, while 3rd placed teams play off for 5th place. The 3rd place or bronze medal match is between the teams that finished second while the EuroLeague Women final is contested by the group winners. For the first time in the history of ELW, FIBA Europe have made rules of the kit that teams are allowed to wear. 5. and shorts cannot extend lower than 10 centimetres above the knee.